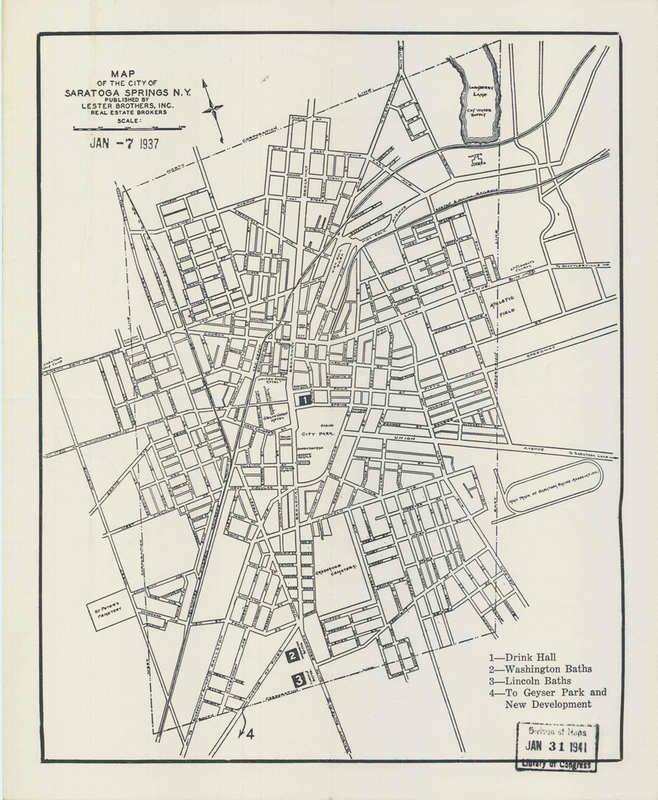 In 1949 Saratoga Springs looked to the future and its city planners wondered, what do we want our city to look like? 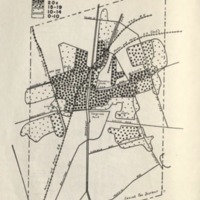 Although the cover to the report showed the whole area, putting text within the corporation line, the report's content focused on reviving the city center. 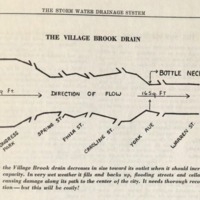 Saratoga Springs leaders wondered if the city lived too much in the past. But the evidence suggested a city already moving forward, with population growth, increased property values, and growing family income . 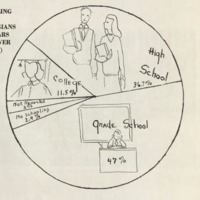 Skidmore College and the new State Spa provided income and activities for the city. 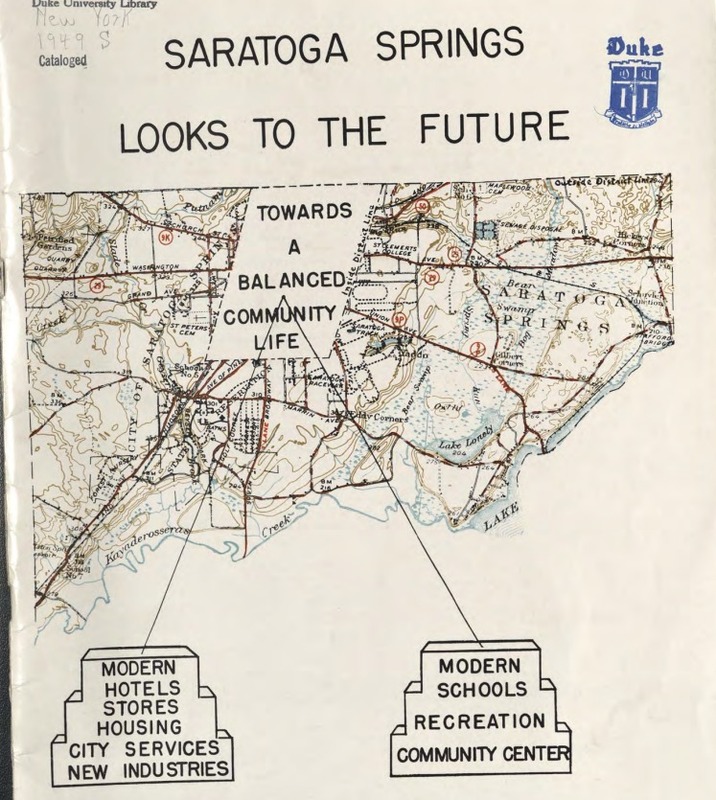 In the mid-1930s, Saratoga Springs had begun to readjust to the automobile culture that changed the tradition of longer summer stays to one-day trips. 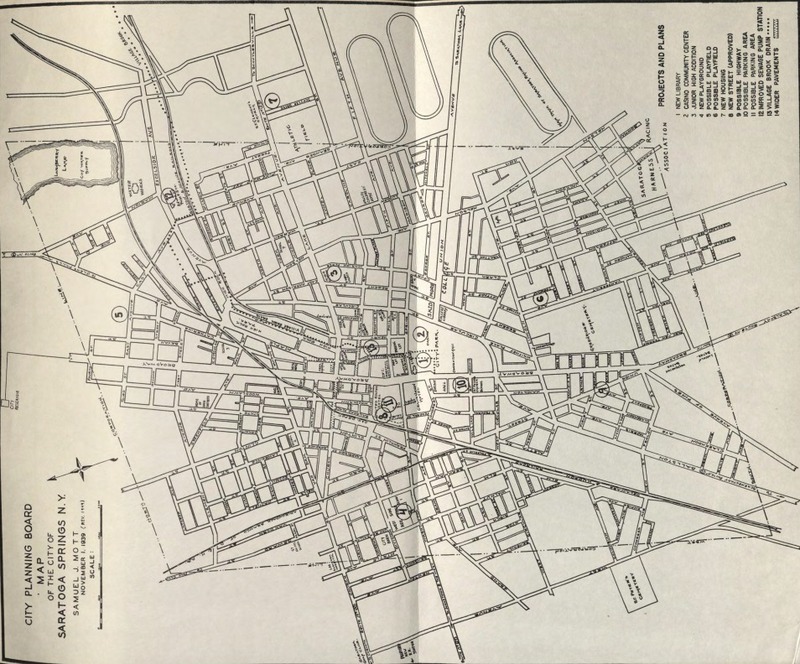 The automobile facilitated movement across the region, which then spurred competition with neighboring resorts and racetrack centers. 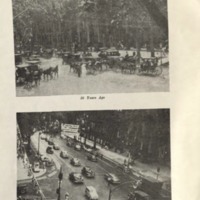 Despite losses in summer cottage sales and big hotels, the population grew after the war and the city saw itself more involved with the capital region. 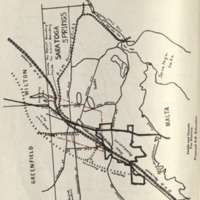 The planning map that appeared at the end of the report was commissioned by the city planning boards. 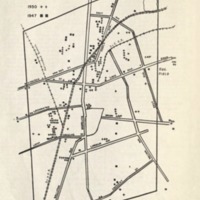 It updates a map created by the Lester Brothers real estate company in 1937. 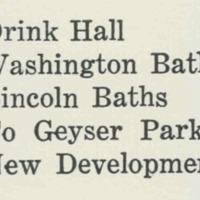 The Lesters' looking to the future included projects, such as converting the trolley station into the Drink Hall (1941, now Visitors' Center), Washington Baths, Lincoln Baths, Geyser Park and New Development. 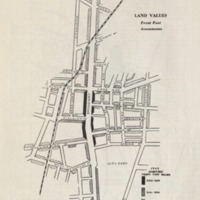 A primary emphasis was tourism-led development. 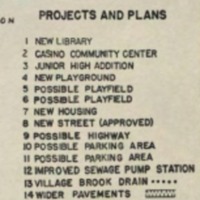 Mott’s 1949 version, which updates his own 1939 city map, includes a longer list of projects such as: the new library, casino community center, junior high addition, new playground, possible playfield, another possible playfield, new housing, new street, possible highway, possible paring area, parking area, improved sewage pump station, and a village brook drain. 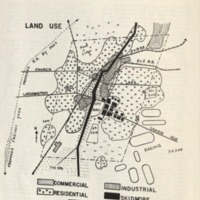 The 1949 map shows projects that are for residents of all ages. Themes focused on building a stronger community and accommodating new families are apparent this map. 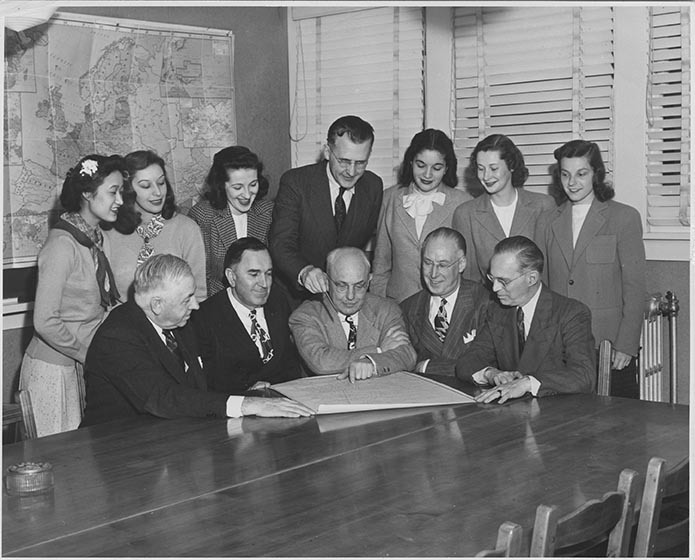 In addition, the planning board valued infrastructure and communication; transportation; and property and development. 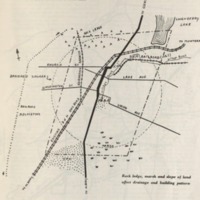 The report included many thematic maps and plans to highlight existing activity--from land use, to population density to the city water system. 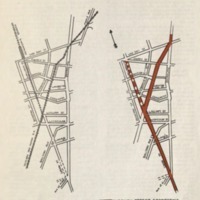 Additional plans suggested how to move the railroad tracks from downtown to the west side to make way for automobile traffic and parking.